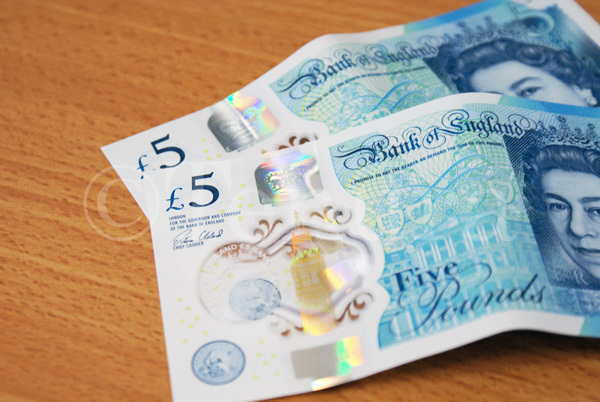 A lot of media attention has focused on the new British plastic £5 bank note containing animal fats, the use of animal fats is controversial for vegans and vegetarians. The proposed new plastic £20 note will contain palm oil. While being more vegan friendly, the implications of the use of palm oil is the processes to obtain this oil devastates forests, leaving many animals without their natural habitats in which they reside. They say they are going to be producing the new plastic £20 notes using sustainable palm oil, but the jury, as ever, is out. But what purpose do those oils and fats serve? The answer; they are used as phthalates. The phthalates soften the plastic making it malleable, without them they would be harder and brittle. What is interesting is that the plastic note manufacturer took an interesting and safe approach. They used a safe phthalate, not something harsh like DEHP, DINP, DIDP etc. Tenura takes a strict approach to plasticisers, we believe that objects which are handled regularly should not contain them. Unlike other companies which offer PVC materials laden with phthalates (DEHP, DINP etc) we take a different approach, heavily plasticised PVC materials were developed in the 1960’s and viewed as the future product; cheap to produce, easy to mould and possessing an initial level of tack. From the 1980’s onwards research soon highlighted high level health risks, so much so that PVC phthalate use is banned for use in hot food containers, children’s toys and objects that be placed in a child’s mouth. The EU, the US Federal Government and especially the states of California and Oregon have progressively legislated against their use. 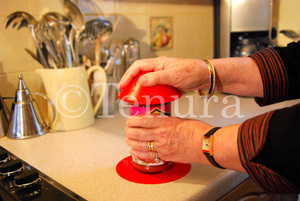 When we created the Tenura range of daily living aids, non-slip bottle & jar openers, place mats and cup holders, we wanted to use modern materials. Silicone is a green material, that can be used to produce products without any phthalates. For more information, you can contact us by phone, live chat or by filling out the contact us form on the website. Posted in Internet and tagged tenura, bank note, filler, phthalates, oils, silicone, daily living aids on 31st March 2017 .